Ms. Kathy gives a lesson to one of her students in the Primary classroom, which is carefully prepared to ensure each child’s success. The work of the young child is geared toward self-construction. Everything the child does is directed toward achieving independence. “Except when he has regressive tendencies, the child’s nature is to aim directly and energetically at functional independence,” Maria Montessori said. To aid the child in achieving this goal, a great deal of preparation by the adult is necessary. That is why the Primary classroom is so carefully prepared. Every piece of furniture, as well as didactic apparatus, is designed to be developmentally appropriate and self-correcting, to ensure the child’s success. The adult facilitators (teachers) are also well-prepared and ready to assist the child, always with the intention of meeting their individual needs. The Prepared Environment, as it is called, is “sensory rich,” with beautiful things for the child to touch, see and explore. The lessons of culture, involving science and geography, are evident every day, as the children interact with the many special animals, and explore the differences among people around the world. Daily living activities, such as polishing, scrubbing, sweeping, and picking up snack crumbs, are all aimed toward aiding the child’s independence. As he/she diligently “cleans,” we can observe the child’s incredible concentration, involving order, precision, and detail. The end result of this intense work is self-mastery. He now feels “rewarded” for his accomplishments, which he was able to achieve “all by his/herself” with very little help from the adult. For “the adult who keeps helping the child, only becomes an obstacle,” Montessori said. Therefore, the key task of the Montessori adult is to prepare an environment for the child where he can work toward his own self-construction. The Primary teacher is constantly looking for new ways to best assist the child to help him achieve greater independence and what Montessori called “normalization.” Daily observations provide insight into the many unique learning styles of each child. Individualizing the lesson plans, presenting new and engaging activities, encouraging repetition and completion, helping develop mentoring relationships among peers, and providing daily moral support are all a part of the way we best serve the child in the Primary classroom. February in Ms. Kathy’s class. We are doing a cultural study of France this month. This includes coloring the French flag and Eiffel Tower. We also are singing “Frere Jacques” and looking at picture cards depicting life in France. 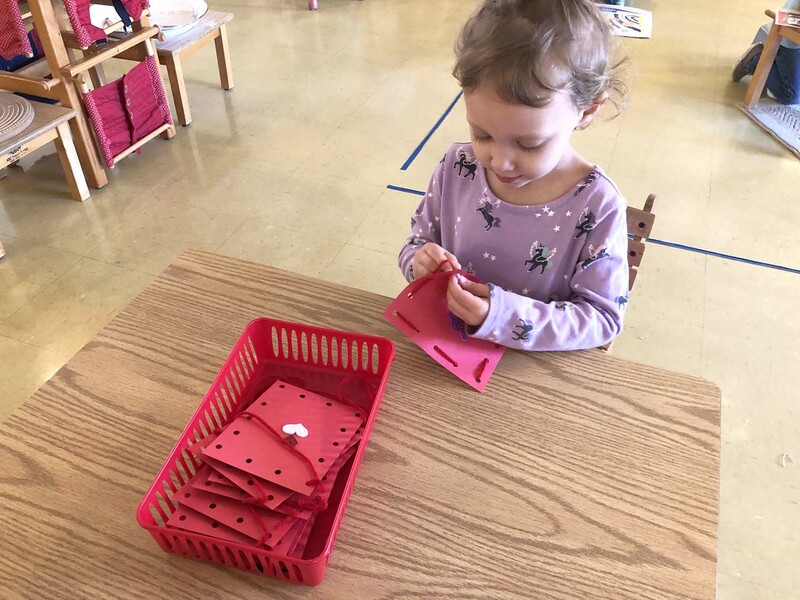 For Valentine’s Day, the children are pin-punching hearts, decorating bags for our Valentine’s card exchange, and gluing hearts and doilies. And put it all together with glue. 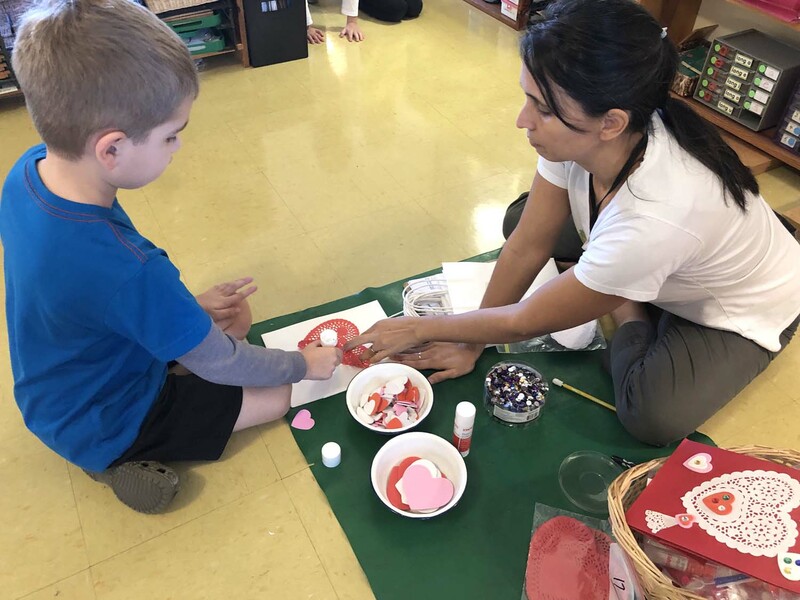 Ms. Evelyn works with a student as he decorates his bag for their Valentine’s Day card exchange. The prepared environment encourages spontaneous activity, where children are engaged in deep concentration while they work. To ensure continued opportunities for concentrated work, it is strongly suggested that all money, candy, jewelry and footwear that lights up remain at home. 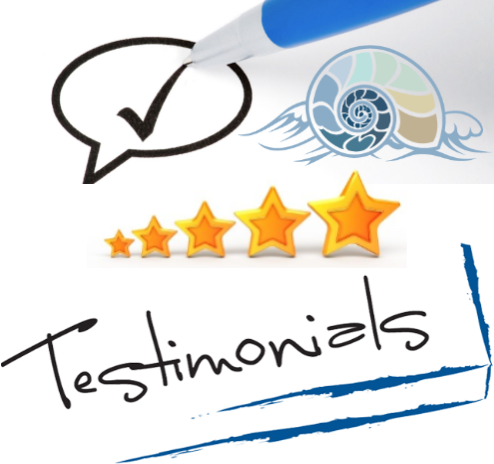 Your support in aiding your child’s school success is greatly appreciated.